BlackBerry is dead. Well, not really. But kind of. Recently, they announced they’re not making handsets anymore. That means no more Bold, Curve or any of the slightly weirder phones they made in recent years. They’ll still make software and, apparently, they’re going to lease out their software and brand name to third party manufacturers. Nevertheless, it’s the end of an era. A surprisingly short era, actually; BlackBerry rose to the top of the phone tree and fell back down again in just 14 years. Before BlackBerry heads off to Phone Valhalla to sit alongside the Nokia 3210 and Motorola Razr, here are a few of their best bits. Before WhatsApp, before Snapchat, before even Facebook Messenger, there was BBM. It was a messaging service like no other. You could send pictures, emoticons (that’s what we used to call emojis, kids), videos and funny messages. You could do group chats (as long as all your friends owned a BlackBerry). It was revolutionary. Best of all, it was exclusive to BlackBerry owners, making it feel like an exclusive club for people with QWERTY keyboards on their phones. Nokia and Sony Ericsson owners were left looking through the window like a sad dog in the rain. Alright, so it’s still available on Android and iOS, but let’s be honest: when was the last time anyone asked you to BBM them? Touch screens are great and all, but nothing beats the satisfying clickity-clack of thumbs against tiny keys. Before BlackBerry, typing a text message meant pressing the ‘7’ key four times to get a letter ‘s’. Typing ‘I love you’ took no less than 23 key presses! Thanks to the QWERTY keyboard, composing romantic messages (and working, of course) got a whole lot quicker. Plus, they looked pretty cool too. Then came the BlackBerry, with its easy web access and BBM. Suddenly, your phone was a portal to a world of entertainment, so much entertainment that you could end up gazing at your phone for hours without talking to a single soul. Sound familiar? BlackBerry phones were so addictive that people started calling them Crackberry. Nowadays, we look at our phones all day and don’t even bother giving them a funny nickname. BlackBerry weren’t the first to combine loads of handy features into a single device, but they were one of the first to do it successfully. 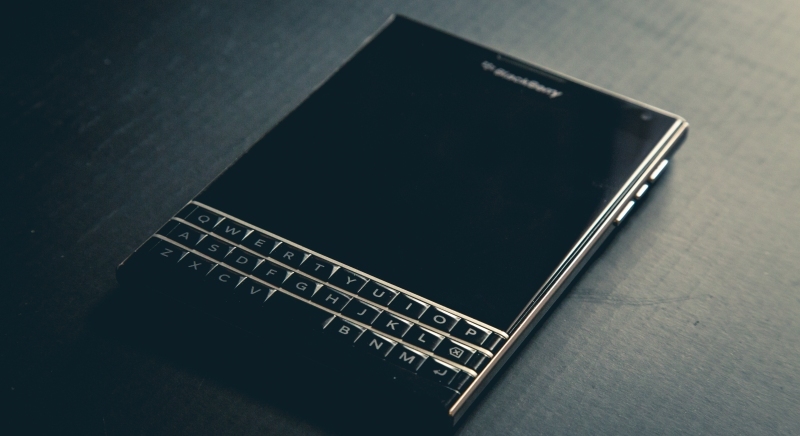 Phone, email, internet, music, a camera, web messaging – the BlackBerry had it all. The iPhone certainly owes a lot to it, which makes the fact Apple pummeled the poor BB out of existence all the more upsetting. In recent years, BlackBerry started trying some different things, like building Android devices and designing a phone so wide that it could probably cover the Grand Canyon. The Passport didn’t do that well, but it gets a full 10/10 for being unique. If it ran on Android, who knows what could have been? Bye bye BlackBerry; it’s been emotional. If you need extra cash and you’ve got an old phone lying around, you can sell BlackBerry phones with musicMagpie right now. Just get an instant price, pop your phone into any box and send it for FREE. We’ll then pay you the same day it arrives!